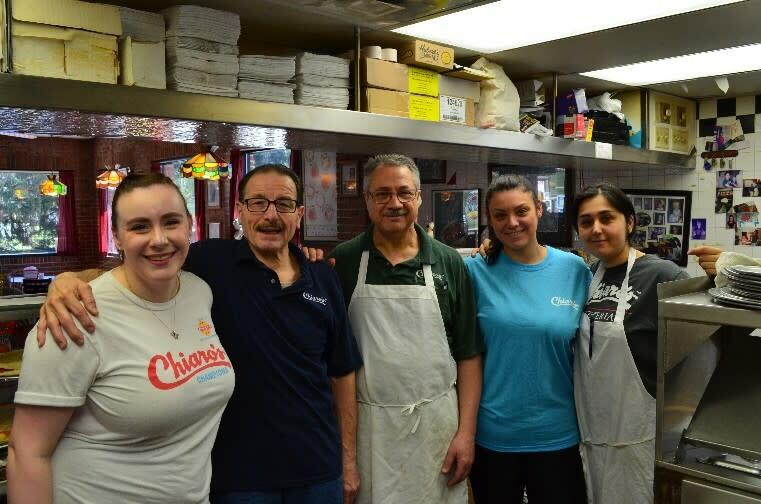 KING OF PRUSSIA, PA – When asked about the secret to creating pizza, Pete Chiaro, co-owner of Chiaro’s Pizzeria and Restaurant in Green Lane, doesn’t even use words to describe his process. He simply smiles broadly and puts both hands over his heart. “It’s the heart… and the fingers,” Chiaro says, in a nod to his staff’s kneading skills. 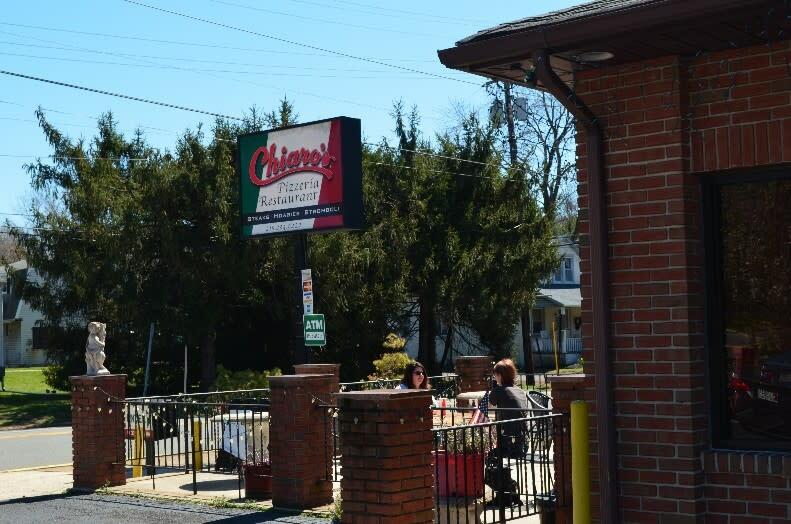 Chiaro’s deep connection to its menu and its customers led the restaurant to a second-year win of Montco’s Best Pizza Tournament, a county-wide culinary contest organized by the Valley Forge Tourism & Convention Board (VFTCB). The final round pitted Chiaro’s against Angelo’s of King of Prussia. 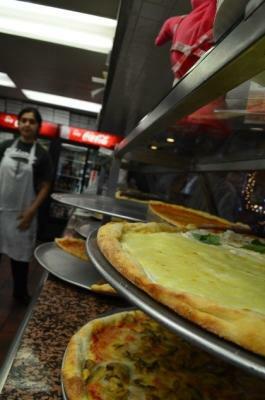 And although pizza passions ran high among both restaurants, the final buzzer had the score at Chiaro’s, 6,553; Angelo’s, 6001. Chiaro described breaking the news to his eight-year-old granddaughter. “The morning after the contest closed, she asked, ‘Nonno, who won?’ When I told her we did, she said, ‘All right!’ And she immediately put it on her social media. “She’s going to run this place someday,” he predicts with a smile. Chiaro might deal daily with pizza, but his culinary skills run much deeper. He was certified as a chef in London while working at the famed Savoy Hotel. “We did banquets for the Queen and the Prime Minister,” he says. He also worked in Germany before coming to the U.S. The family’s ties to Europe accounted for several votes the VFTCB collected internationally. Votes were also cast from Naples, Rome, Milan, Palermo, Turin and Venice, cities in Italy where Chiaro suspects family was pulling for him. In the month-long competition, the VFTCB received more than 300,000 votes through its website. The social media traffic was among the most robust the tourism agency has ever seen:< >5,000 Facebook reactions, comments and shares 75,000 views of its online videos, comprising bracket analyses and competitor interviews375,000 Facebook impressions“We also used billboards, newspaper ads, social media posts, email content and PR to promote the competition. The final four were featured on FOX29’s Good Day Philadelphia and ‘Small Bites,’ a New Jersey-based podcast. “From a marketing standpoint,” says Edward Harris, Vice President of Marketing and Communications, “we were firing on all cylinders. We created promotional kits to help all our participants; these included magnets, a flier and a pad of voting reminders that the pizzerias could include with their checks. These were all put together in a branded pizza box. “We also used billboards, newspaper ads, social media posts, email content and PR to promote the competition. The final four were featured on FOX29’s Good Day Philadelphia and ‘Small Bites,’ a New Jersey-based podcast. Chiaro’s will receive another year-long VFTCB membership, as well as a trophy (a plaque attached to a wooden pizza paddle), shirts and an extra-large portion of bragging rights. Next year’s competition is already being planned, scheduled to kick off during March Madness basketball season 2018. The VFTCB promotes all in-county dining through Crave, its award-winning dining guide.